So many worthy causes and how does one choose which ones to support? One of my picks is the March of Dimes of Central Maryland that helps moms have full-term pregnancies and researches the problems that threaten the health of babies. 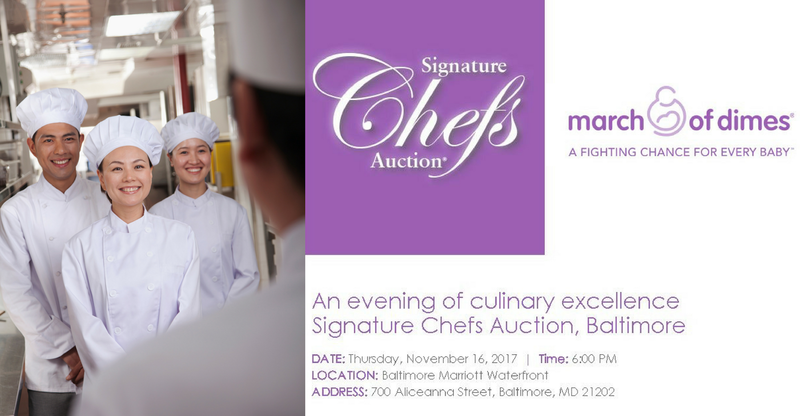 Every year the March of Dimes of Central Maryland serves up an evening of signature chefs’ cuisine tastings and an extensive auction, both silent and live. 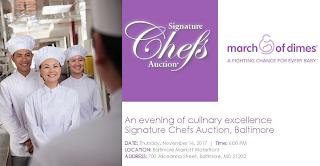 This year, the March of Dimes Signature Chefs Auction will be held Thursday, November 16th at 6 p.m. at the Baltimore Marriott Waterfront Hotel.